What’s the show? Endro! Episode 4. How’s this episode? 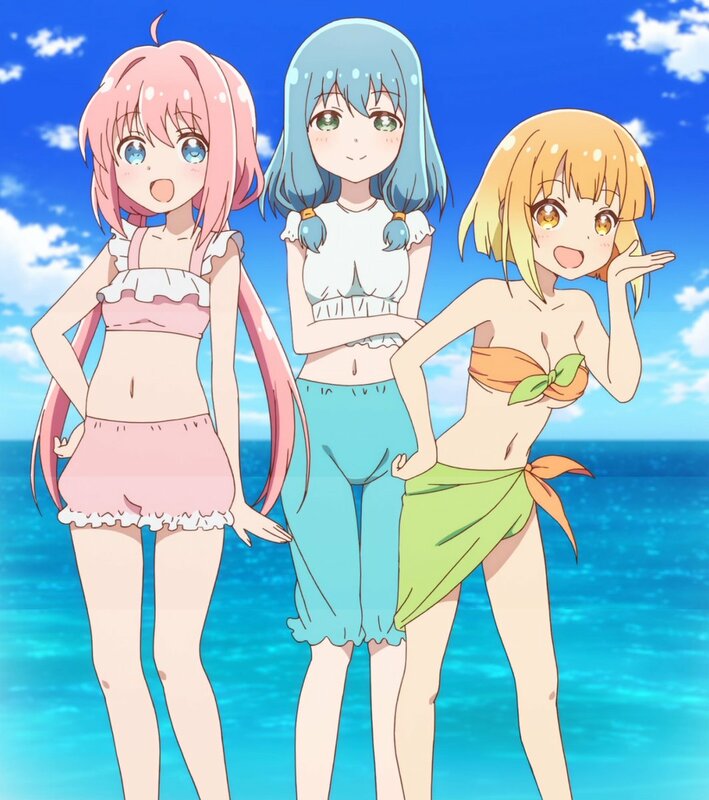 I say “beach”, you say “episode”! Beach! Episode. Gah! Why are you like this?! Because I like girls in bikinis, it’s not rocket science, mate. I mean, they’re not actually that more skimpy than their everyday outfits but whatever! Hmm, well fair enough. 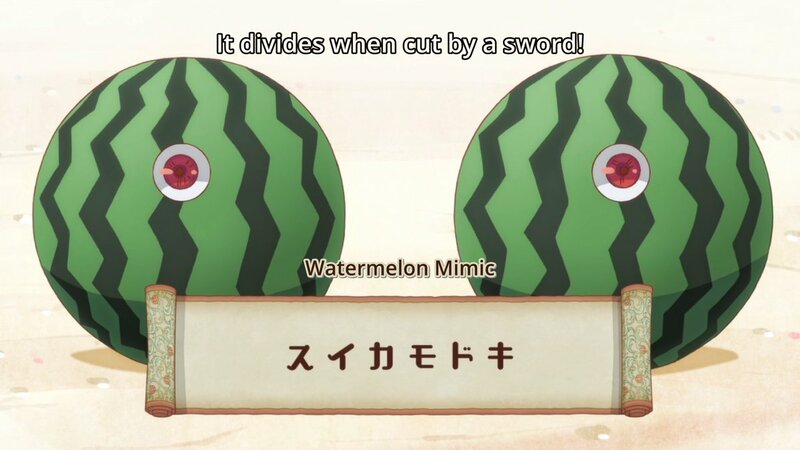 So what’s this episode actually about, I take its not just an excuse for pointless fan-service. I’ll overlook the “pointless” quip and get to the point. 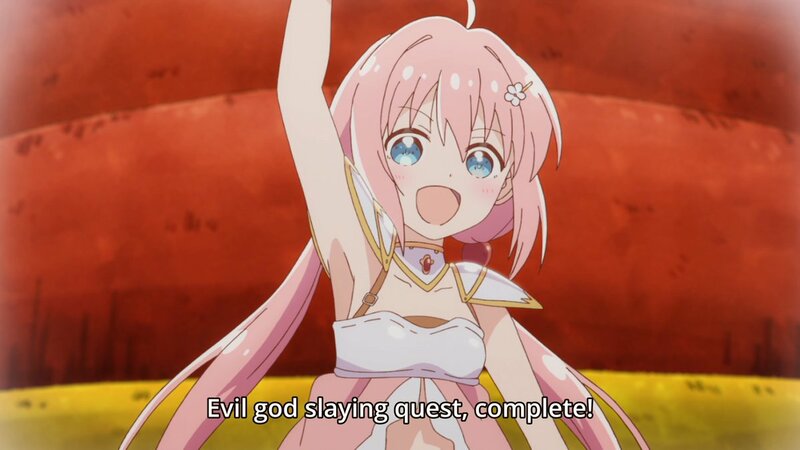 This episode is an adventure and serves the purpose of being our group’s summer homework set by demon loli Mao (yes she’s no longer AWOL and back at teaching). And I kinda love how self-contained this episode is. I mean sure it benefits from prior knowledge but it’s also got a short-film, stand-alone vibe to the events, it tells a little story with minimal exposition and has a clear beginning, middle and end. That said, I think that very thing is likely to be a turn-off to some who are expecting some sort of overarching plot line when the show isn’t really interested in committing to something like that as of yet. Baseless assumptions, all of that? Of course, it’s my favourite past time. Uh-huh, so what were your highlights about the episode? I liked the whole journey to the deserted island itself–a sort of mini-adventure in the adventure (plus it reminded me of RPG’s and most specifically Animal Crossing)–so that was fun! The running gag of coming across different and very imaginative monsters on the beach was cool, and obviously the catching of the mackerel man and his whole subplot was as ridiculous as it was entertaining. 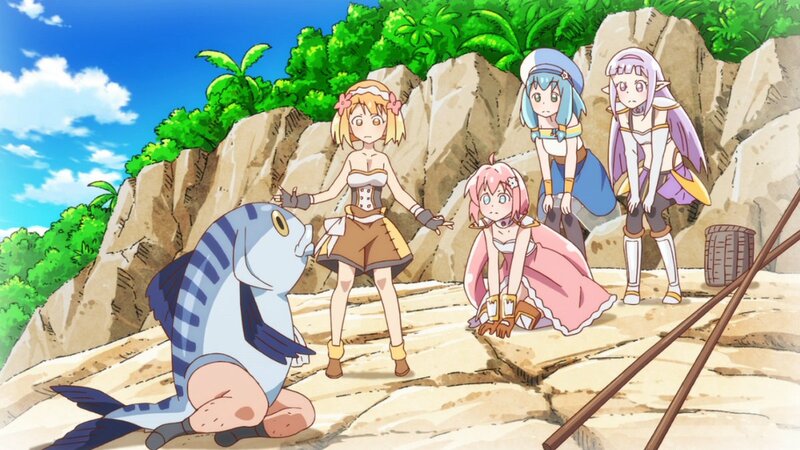 Also the fact that Chibi-chan ended up inadvertently saving the day by eating the released spirit of the evil underwater god who was enslaving the mackerel men. Huh? Also did I mention this show is all kinds of ridiculous and I love it all the more for it? Because that, that 1000% of the time. I love this show’s ‘looseness’ and free-spirited approach to almost everything it does–it’s stupidly endearing and leaves me with a smile across my face throughout. And that’s it, that’s the end of the review! I know I’m supposed to be distracted by the mackarel man’s legs but those faces tho!